This study identified the fundamental lifestyles adopted by a university community in Malaysia. Rapid growth and expansion of higher education in Malaysia is inevitable as the country moves from a production-based economy to one that is innovative and knowledge-based, requiring the development of a highly skilled and knowledgeable workforce. Research universities in Malaysia are leading the way in the generation of intellectual property and wealth for the country, as well as enhancing the quality of life of its people. A case study approach found that the university community’s lifestyle is focused on recognitions. Implications for university personnel are discussed. The use of technology in counseling practice is constantly expanding, offering new tools for communication and record-keeping. 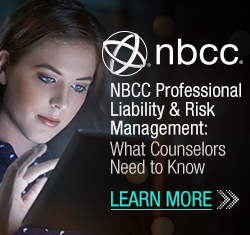 These tools come with significant legal and ethical risks for counselors as well as counselor educators and supervisors. 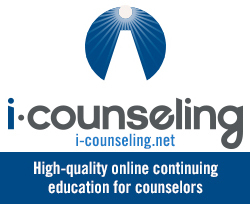 Rules from HIPAA and HITECH are discussed in relation to counselor practice. Guidelines for electronic records and communication are suggested. Growing up in a thwarted relationship with a father perceived as lacking in meeting the basic nurturing needs of the father-son relationship disrupts a boy’s normative development and may leave him fixated in a regressive state. This also impacts the mother-son relationship. This paper uncovers obscure layers of the male psyche and argues that a regressive state renders the grown man highly susceptible to developing narcissistic tendencies in adulthood. These tendencies are likely to affect interpersonal relationships including impotence and sexual performance with women. 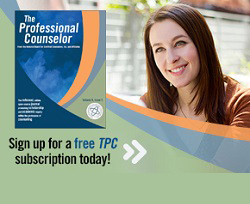 Implications for psychodynamic counseling and clinical supervision are discussed. Researchers examined the experiences of a counseling session from the perspectives of counselors-in-training (CITs) and clients. Post-session phenomenological interviews were conducted to elicit participants’ meaningful experiences, and the analysis revealed both similarities and differences. Researchers found the following themes most meaningful for CITs: Counseling Relationship, Insight, Immediacy, Goals, Emotion, Nonverbals, Transference and Countertransference, and CIT Negotiating the Counseling Process and their Role. Themes of meaningful experiences that emerged for clients include: Counseling Relationship, Insight, Immediacy, Goals, Emotion, and Reflections on Counseling. Implications for counselor education and supervision are described. Counseling is the instrument that empowers training and forges the development of leaders in their essential drive to inspire and guide others. As much a discipline and praxis as a professional practice, counseling increases consciousness and optimizes the management and synergy of human energy. This article addresses methods for sustaining leadership development via the leader as manager, educator and motivator.